Almost fifty years after the assassination of President John F. Kennedy, his murder continues to haunt the American psyche and stands as a turning point in our nation’s history. The Warren Commission rushed out its report in 1964, but questions continue to linger: Was there a conspiracy? Was there a coup at the highest levels of government? 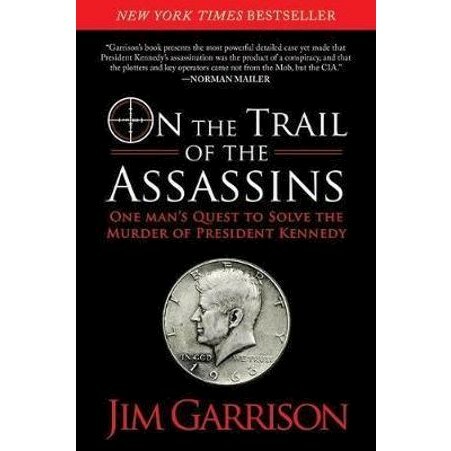 Returning to print for the first time in years, On the Trail of the Assassins—the primary source material for Oliver Stone’s hit film JFK—is Garrison’s own account of his investigations into the background of Lee Harvey Oswald and the assassination of President Kennedy, and his prosecution of Clay Shaw in the trial that followed. Jim Garrison was the district attorney of Orleans County who rose to prominence during his investigations into the assassination of President John F. Kennedy. He passed away in October 1992.